On December 12, 1963, people across Kenya joyfully celebrated independence from British colonial rule, anticipating a bright future of prosperity and social justice. As the nation approaches the fiftieth anniversary of its independence, however, the people's dream remains elusive. During its first five decades Kenya has experienced assassinations, riots, coup attempts, ethnic violence, and political corruption. The ranks of the disaffected, the unemployed, and the poor have multiplied. In this authoritative and insightful account of Kenya's history from 1963 to the present day, Daniel Branch sheds new light on the nation's struggles and the complicated causes behind them. 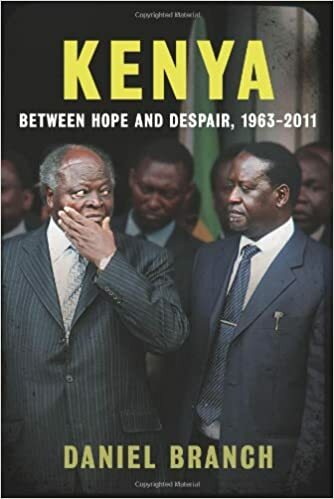 Branch describes how Kenya constructed itself as a state and how ethnicity has proved a powerful force in national politics from the start, as have disorder and violence. He explores such divisive political issues as the needs of the landless poor, international relations with Britain and with the Cold War superpowers, and the direction of economic development. Tracing an escalation of government corruption over time, the author brings his discussion to the present, paying particular attention to the rigged election of 2007, the subsequent compromise government, and Kenya's prospects as a still-evolving independent state.